Developing the Clark Green City (CGC) will help boost the country’s economic Competitiveness once ASEAN integration takes place in 2015, the state-owned Bases Conversion and Development Authority (BCDA) said. “With ASEAN on the horizon, Clark Green City can bolster the country’s competitiveness as it opens the region to global trade and investments with the help of economic incentives and world-class infrastructure already within reach. This will strengthen the Philippines’ investment portfolio,” BCDA president and chief executive officer Arnel Paciano D. Casanova stated. Casanova added that it is significant to attract local and foreign investors to venture inside CGC. Hence, in order to attract investors, fiscal and non-fiscal incentives can be offered for them to invest in CGC. “With the promise of an integrated ASEAN community next year, it is important to give our partners an edge in a more globalized and competitive setting,” he mentioned. The BCDA unveiled fiscal and non-fiscal perks for locators in CGC pursuant to Republic Act 9400 which said registered businesses inside special economic zones shall be entitled to incentives under Republic Act No. 7916. 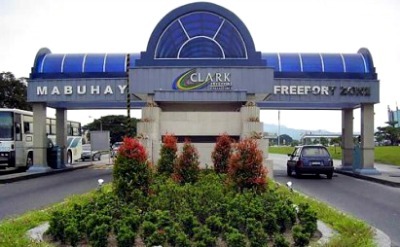 The CGC is situated in Clark Special Economic Zone. “The property opens doors for companies in the ASEAN (and the rest of the world) to invest in Philippine urban development. Not to mention, the economy is growing at 7 percent—making the city and the country more attractive to prospective locators,” said Casanova. The ASEAN integration in 2015 aims to have freer flow of goods, services, investments, and skilled labor within the ten member-states. The BCDA chief noted that the ASEAN integration opens lot of opportunities for BCDA to partner with regional and international organizations in developing the CGC. According to BCDA, the World Bank has expressed interest in the development of CGC particularly in the environmental and disaster-prevention programs. “The incoming economic change puts traction and relevance to the development of the 9,450-hectare property,” he said. CGC is a strategic location since it is near the Clark International Airport, Subic Bay Freeport Zone, and Subic-Clark-Tarlac Expressway (SCTEX). BCDA eyes CGC to have five specific districts namely government district, central business district, the academic district, the agri-forestry research and development district, and the wellness and eco-tourism district. When fully developed, CGC is expected to contribute an estimated Php 1.57 trillion annually to the Philippine economy and will create 925,000 jobs.